If your schedulers and planners are using spreadsheets to schedule work orders, it’s time to supercharge your CMMS! Most ERP and CMMS systems lack the functionality needed to optimize work order scheduling ... leaving planners to rely on spreadsheets. Never designed to ensure the right crew are assigned to the right work at the right time, spreadsheets cause havoc on equipment reliably. It’s time to address this functionality gap. If work orders are scheduled in spreadsheets, there’s a problem! Your ERP has delivered consistency, but no solution can anticipate every future exigency. You need to respond to the needs of the business for effective maintenance scheduling. Spreadsheets are leading to inefficient planning, dispersed data, duplication, and lack of reliable metrics. With Sockeye, you can extend your CMMS with a proven cloud solution to streamline maintenance scheduling. Extend your ERP with Sockeye! 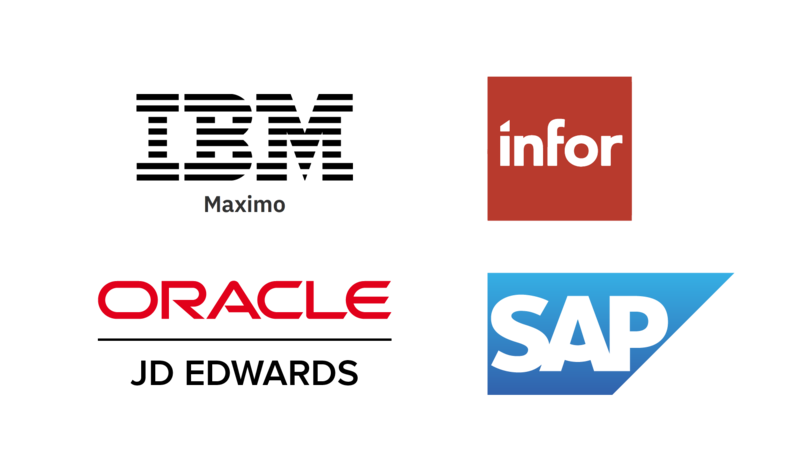 Sockeye seamlessly integrates with all leading maintenance systems – including SAP, Oracle JDE, Infor EAM, IBM Maximo, and Avantis – extending your ERP/CMMS to optimize scheduling and track KPIs. It’s designed to keep data synced and current. There are no business rules to set-up, so deployment is fast. Sockeye is so easy to use, it needs almost no training, and so effective, it reduces scheduling time up to 75%. Technical deployment is a “piece of cake” with Sockeye! Sockeye delivers the agility you need by providing the dedicated functionality for maintenance scheduling that your ERP lacks. The Sockeye front-end is entirely web-based (with no browser plugins nor extensions required). The Sockeye back-end runs on the Microsoft Azure cloud platform for security you can trust. Make deployment and onboarding a synch by choosing Sockeye. Fortune 1000 enterprises rely on Sockeye to reduce maintenance costs, improve production uptime, and reduce lost time accidents. It is designed to extend CMMS systems to optimize maintenance scheduling, keeping data synced for one to 1000s of facilities.